Cut stone, marble and brick are the building blocks for monumental religious architecture, city walls and fortifications, palaces and great civic buildings, and provide a powerful visual link to the past. There is, however, also a strong tradition of architecture which makes use of one of a far more practical and curiously durable material, and one which endows those same urban centres with access to a different, more intimate history. That material is wood. 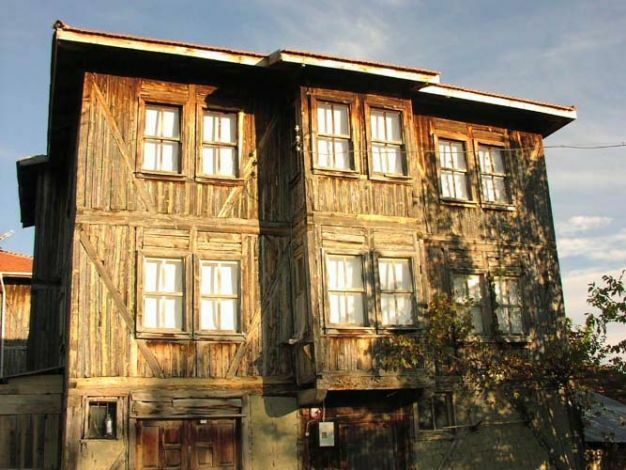 Turkey possesses an extraordinarily long and well-documented history of building with wood. The tomb of King Midas, ruler of the iron age kingdom of Phrygia, is made from juniper logs and sealed with pine planks. 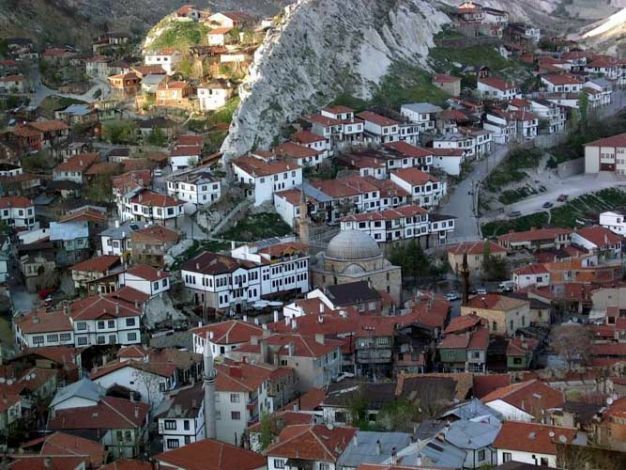 It is located in the centre of a 40 metre high funereal mound near the modern city of Polatli (ancient Gordiom) and is reckoned to be the oldest intact wooden structure in the world. Some 2700 years later, in 1898, came the construction of the world’s largest pure wood structure on the Istanbul island of Büyükada. It is a now disused orphanage and measures an astonishing 1025 metres by 25-35 metres and is 21 metres high. It was intended as a hotel before being sold to a Greek philanthropist after if failed to receive permission to open. The Sultan donated a daily ration of meat for the orphans and the royal ovens supplied bread. 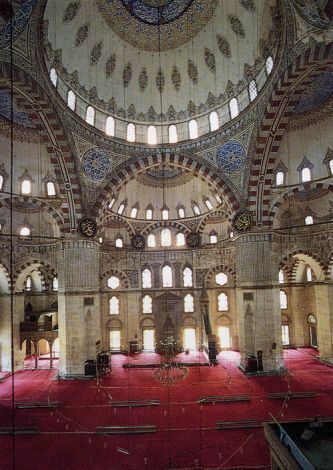 The sheer variety of construction is enormous, from the Unesco-listed thirteenth century Great Mosque at Sivrihisar with its timber ceiling and internal wooden pillars, to the early twentieth century pavilion on the Asian side of Istanbul’s Bosphorus which served as the summer residence and painting studio of Abdülmecid , the Ottoman heir presumptive and last Caliph, forced into exile in 1924. The last great Ottoman Sultan, Abdülhamid II, was himself an accomplished carpenter and his palace workshop produced in only three weeks an elegant pre-fabricated bungalow which was used as a pavilion for Kaiser Wilhelm when he toured the silk carpet factories in Hereke in 1894. 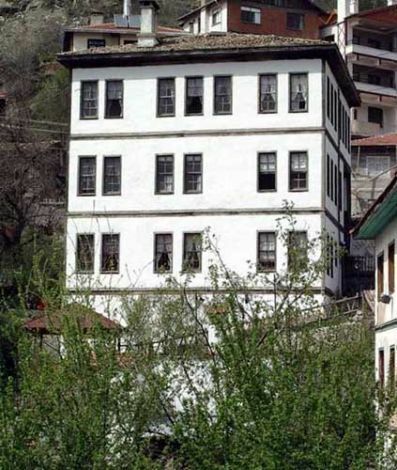 Most rightly associate wood not with these royal structures but the more modest vernacular houses, the setting for everyday life in the Ottoman Empire. 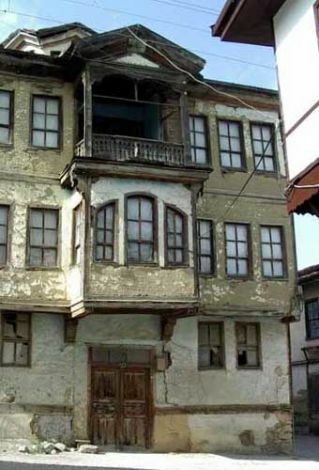 Preserving the fabric of those few neighbourhoods where there are still wooden buildings has long been a priority in Turkey and there is an extensive raft of legislation to protect listed historical buildings. Construction in wood represents not just an important aesthetic which helped define Ottoman urban life, but embodies a great deal of practical knowledge that in a country with Turkey’s seismic history, could actually promote both safer and more environmentally sensitive housing. Most agree more could be done to find a better balance between the protection of properties and the encouragement of sympathetic renovation. 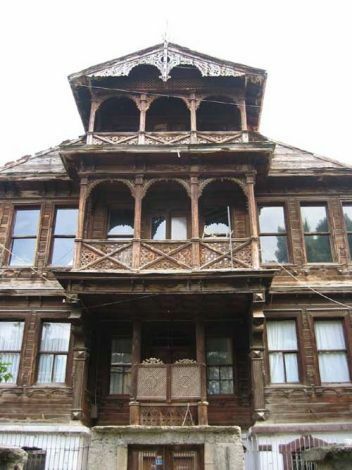 Too many buildings – like the orphanage in Büyükada – are simply left to decay. At issue, argues a new generation of “timber activists” is not just the salvaging of pretty postcard views, but the preservation of skills and knowledge that can actually save lives. One noticeable property of timber houses is that they survive earthquakes. Wood houses are far more durable than popular belief. Istanbul was a city plagued by fire in the nineteenth centuries, but this was not because the houses were made of wood but because they were close together. Wood houses don't burn like kindling - the structure normally stands for an hour and a half. Steel frame buildings collapse much quicker. The other myth is that wood is a finite material and to use it for construction is to exhaust a natural resource. The reality is that demand creates rational husbandry. One of the UN's environmentalist slogans is "Cut trees to save the forests". In societies where people use more wood, the forest size increases. 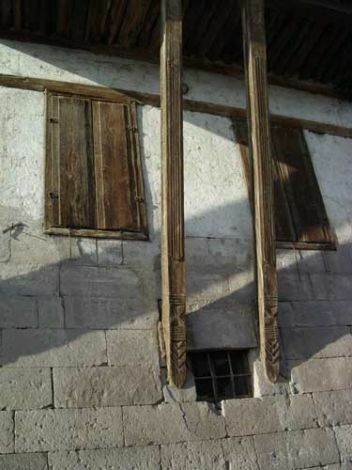 Wood was clearly the material of choice before the First World War in Turkey, its popularity only affected by cost. 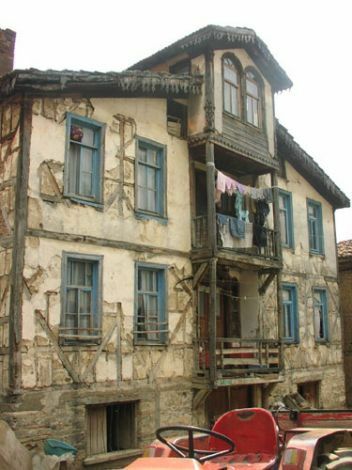 Even the substantial merchant homes in the picturesque town of Safronbolu are half-timber (himis) with the space between wood supports in-filled with stone rubble and then covered in a lime plaster. Drawings from the seventeenth century show similar houses in Istanbul. 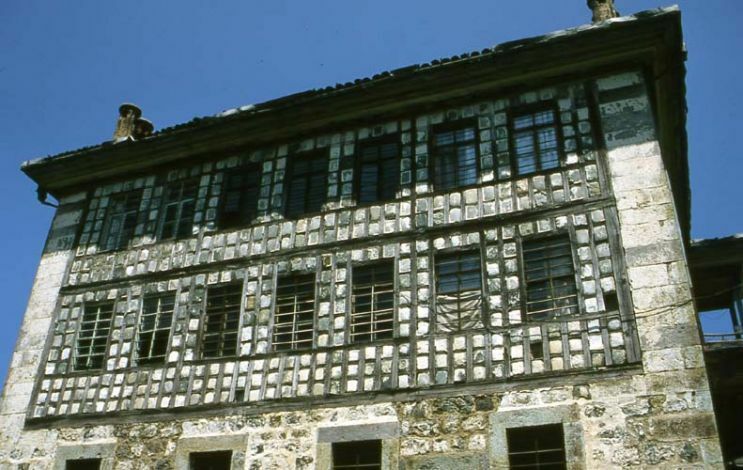 The lime-plastered rubble facades were vulnerable to salt and sea air and the so the sea-side mansions (yali) along Istanbul’s Bosphorus were among the first houses to use timber cladding. In some cases the land side of the house remained in the same half timber side as a cost-cutting measure. 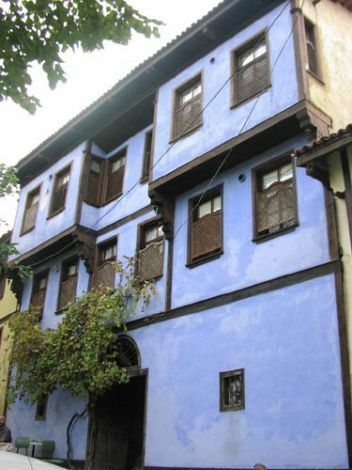 The oldest existing house on the Bosphorus, the Amcazade Huseyn Pasa Yali built in 1698, clearly sported the affluence of its proprietor – a member of the Köprülü family, by being entirely covered in wooden planks. As wood was used more liberally, wood clad town houses took a variety of forms with some interiors based on traditional Anatolian floor plans, others more directly imitative of Western European homes. Elements thought of as being typical of Ottoman include the taslik – or an entrance floor paved with stone, the oda – literally “room” but a multi-purpose room often with an elevated platform that was used as a seating area by day and a place to lay sleeping mattresses by night. 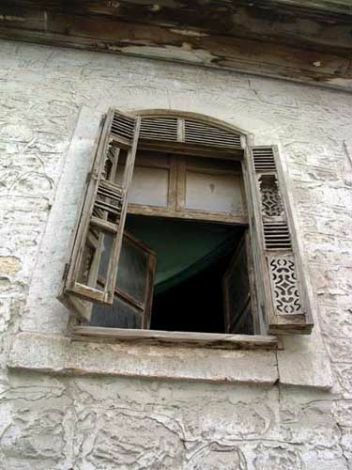 Turkish houses typically contained reception rooms where men could receive guests (selamlik) and the private quarters of the house (haremlik). These quarters could be very distinct -- to the extent of being virtually separate dwellings with distinct entrances -- or a division of space no more complex than a European house where a “best parlour” is reserved for the outside world and the sleeping quarters generally out of bounds to non-family. Those dwellings drawing from a more rural tradition in a sense turned their back on the street with featureless facades. Instead they focused on an inner courtyard or an elevated terrace floor (hayat). The radical contrast to this were western inspired mansions with imposing facades that openly indulged in a variety of borrowed styles from neo-classical pillars and pediments to art noveau fretwork along balustrades and jalousies. 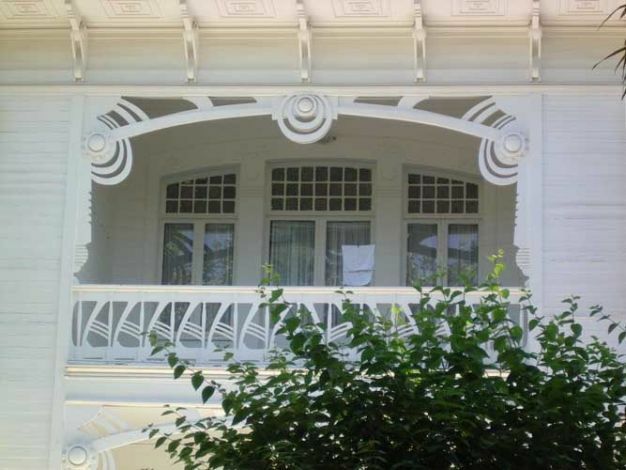 A tour of the summer houses on the island of Büyükada remains the best place to see the inventiveness of wood constructions with large ornate houses of all kinds including those with belvederes in the form of neo-baroque turrets. 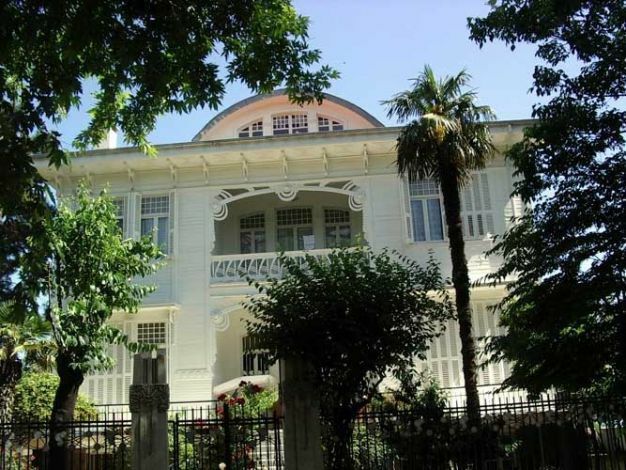 Demand for housing in Istanbul itself rose during the nineteenth century due to the influx of refugee populations. Wood houses reflected this demand and more densely populated neighbourhoods arose of much smaller dwellings. A popular element of houses from this period were the bay extensions (cumba) or cantilevered overhangs in which the house itself appeared to stretch out in search of a better view. These not only provided extra space for upper storey rooms but shelter and shade for the pedestrians below. Istanbul again possesses two neighbourhoods which provide an opportunity to see these more dense urban centres of wood housing - that around the Suleymania Mosque and Zeyrek further down the Golden Horn. Both areas are listed on the UNESCO prestigious World Heritage List. Projects exist to rejuvenate these neighbourhoods but progress has been slow. The neighbourhoods of nineteenth and early twentieth century wooden houses are evaporating as is the very craft that went into their creation. Even the Turkish word for “joiner”-- “dulger” -- is disappearing from the language. This has happened all over the last seventy years. Construction in wood is no longer on the university curriculum. Those who promote the use of wood hope their efforts will encourage people not just to cherish old buildings but to use the knowledge those buildings encapsulate to create new traditions.